I’m amazed by the amount of negative, destructive energy that “leaders” expend when it comes to implementing change. Even in simple things — like trying to get people to pay attention at the beginning of a meeting — I see leaders get frustrated, flustered, and flummoxed because their yelling, pounding on the glassware with a spoon, or general cranky attitude isn’t getting results. It’s even more astonishing to me that many of these leaders, once they’ve poured tons of lousy, ineffective energy into a change effort, are convinced that “just a little more” worrying, bullying, impatience, fear, coercion or yelling will somehow turn the tide in their favor. Really. I see it ALL the time — AND, there is a completely different way of handling this. I facilitate large groups of people all the time — and I often need to have these groups “get quiet” so we can move forward toward some other activity, learning point, etc. I used to try to use my physical presence (I’m tall! ), a loud voice, and a persistent tone to get them to be quiet. It worked, but it took a LOT of energy to make it happen. And I got hoarse a lot. A lot. Then — I learned a lesson from a Kindergarten teacher that changed my life. Do you want people to quiet down? Stop talking. This teacher — as if by magic — had the ability to get 25 five and six year olds to stop talking whenever she wanted to do so. She got the kids’ attention by raising her hand, and then she stood there. Smiling. Quiet. The kids silenced themselves immediately. The amount of negative energy expended by the teacher? Okay — I can hear many of you saying, “Life’s a lot more complex than a Kindergarten classroom.” Maybe. And I guess we’ll need some more powerful tools as a result. Yes? “You can’t be serious, Bob.” Actually, yes. Yes I am. One show deals with misbehaving dogs, and the other with misbehaving kids. At least that’s what the advertising wants us to believe. In reality, both shows are about “fixing” the dog owners or the parents — and are not about “fixing” the dogs or kids. And where does this “fixing” start? With the energy the owners or parents are bringing to the situation. This energy is CRITICAL to the outcome because dogs and kids (and employees, partners, stakeholders, etc.) will change when the environment around them changes. SUPER NANNY: When it comes to Super Nanny, mom AND dad must be in alignment related to what’s expected for their children’s behavior, results, etc. If one parent’s idea of curfew for their teenager is “sometime before dawn” and the other’s idea is midnight, there’s bound to be a problem. Guess which parent will be more popular when the teenager comes home after midnight? DOG WHISPERER: In the case of the Dog Whisperer, the owner(s) need to be clear about the expectation of the dog. Dogs are pack animals, and as Cesar Milan says, “Your dog needs to understand what it means to be a dog.” And — YOU are the pack leader. Get clear about that expectation. In business? Employees expect leaders to LEAD. In parenting? Children expect parents to set reasonable limits. It’s the same thing. SUPER NANNY: Next — once the expectations have been created and both parents are in alignment, specific and clear consequences need to be established. Again, if one parent’s idea of a consequence for coming home after curfew is a slap on the wrist, and the other’s is losing your driving privileges for month, there’s going to be another problem. Choose and agree to clear, consistent consequences. DOG WHISPERER: The consequences associated with a dog owner trying to be “dog’s best friend” manifest themselves in dogs that pull incessantly on their leashes, who bark, run around, display aggressive behavior toward humans, etc. SUPER NANNY: Then — once numbers 1 and 2 have been established, communicate them effectively… Effective communication is defined this way — your intended message was received and understood by the recipient. This does NOT equate to pressing send on the email or text message. BTW — if you really want your kids to understand your perspectives, produce and upload a YouTube video. Really. Google is the #1 search engine on the Internet. Guess what’s #2? YouTube. Kids learn that way — and guess what else. Adults learn that way too. 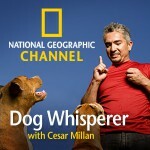 DOG WHISPERER: This is the part of the show that’s the most fun to watch. Why? Because so many dog owners have NO CLUE when it comes to the connection between their energy, behavior, etc. and the behaviors demonstrated by their dogs. Jumping up and down with the leash in your hand saying, “Wanna go for a walk?? ?” creates a jumpy dog who runs around barking. Cesar Milan’s skill is in his ability for owners to REALLY understand this dynamic. Back to you as a leader in business — do you understand the impact of the energy you’re bringing? Are you jumping around asking people, “Do you wanna go for a walk?? ?” Or are you demonstrating clear, calm, assertive energy? At this point you have aligned expectations, clear consequences, and complete understanding. It’s now time to allow your kids, your dog, your employees, etc. to “do.” Let them try the new behaviors, demonstrate the expectations — no micromanagement allowed. No negative energy. No yelling. Just let them “do.” Then — observe. In the case of the Super Nanny, she leaves for a few days — but leaves the video camera running. 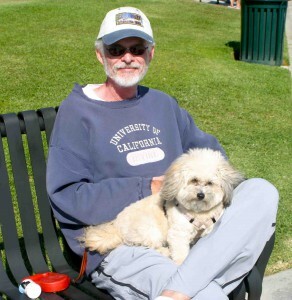 In the case of the Dog Whisperer, he goes out for a walk with the owner — and watches them attempting to use his techniques. Has the owner become a pack leader? He’s watching. Have the parents internalized the message from the Super Nanny? She watches. The same thing needs to be true for your employees. They need the chance to “try” and do. Finally — and this is where the Kindergarten teacher’s lesson is so important — measure the effectiveness of the expectations (quiet down when I raise my hand and stop talking myself). And, if something’s out-of-whack when it comes to the performance of one of the kids, then it’s time to enforce the consequence. “Justin — talking after I raise my hand means you lose a recess. Do you remember? You will be staying in the classroom for the next recess.” Simple. You’ll never find Cesar Milan raising his voice with either a dog or an owner. He simply states what he expects, and if the owner doesn’t “do” it correctly, he reinforces it. He doesn’t let the owner “get away” with doing their way — it’s Cesar’s way. The Super Nanny? It’s about enforcing consequences and has nothing to do with punishment. If the child clearly understands what’s expected of them, the consequences associated with “not” doing that, AND they have consistent enforcement of the consequences when needed — their behavior will change. Simple. And — it can be true for you as well. Stop pouring negative energy into your environment hoping for change. Use the Five Simple Wisdoms from the Super Nanny and the Dog Whisperer. Your life (and the lives of those around you) will be FAR better for it.